Usually, the final Friday is reserved for a comedy contest pitting four local comedians head to head, as they battle joke for joke, while you, the audience, decides the winner. 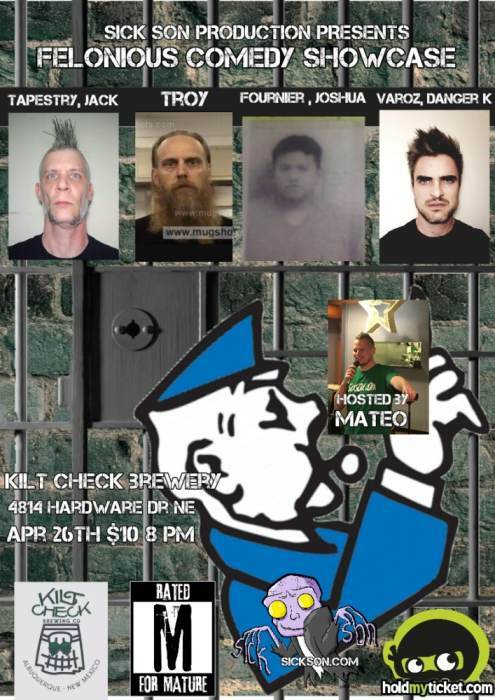 However, this month we have a special show: The Felonious Comedy Show. These comedians have all been to jail at some point for some reason. Come on out to hear their stories! Sponsored by The Jerky Shop.